The project has received the blessing of Virginia’s State Corporation Commission, but must get the “OK” from the Spotsylvania Board of Supervisors before it can proceed. That board has until the end of April to make a decision on the special-use permit. That board has a contentious decision looming because the February meeting lasted nine hours and was attended by dozens of local citizens demonstrating. The company wants to complete the project quickly, but residents are urging the board to require the farm to be built in stages to better measure the impact on the local environment. Residents are concerned about such potential drawbacks as pollution of the water and increasing the local temperature by virtue of so many reflective panels. It’s an unprecedented project in a populated area. At the March meeting, the board listened to more concerns and experts citing various studies. The group voted to use the county planning commission’s list of conditions as a baseline for a possible vote on April 9. That includes allowing a special-use permit on only one of three proposed sites, requiring the solar farm to be built on fewer acres. Residents have expressed concerns that the solar panels, which contain cadmium telluride, could leach into the soil. 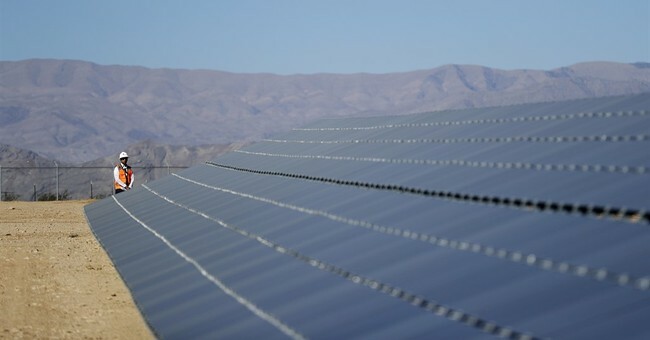 A consultant hired by the county who claims a decade experience studying solar panels said at the most recent meeting that those worries are unmerited and that a tornado that hammered a solar site in California didn’t cause such leakage. Dave Hammond, one of the leaders of the group Concerned Citizens of Fawn Lake and Spotsylvania County, told the Taxpayers Protection Alliance the decommission bond from sPower is “needed to protect the taxpayers,” but the company has sought what Hammond calls an “outrageous” amount of $1.2 million – or less than $1 per panel to remove each one. State Sen. Bryce Reeves, a Republican whose district includes Spotsylvania County, attempted to pass legislation this past session to require larger solar power plants to post a decommission bond of $10,000 per acre, but that effort failed. That proposal would have made sPower put up a decommission bond of about $35 million. Hammond blames the lobbyists from the solar industry in the legislation’s death. But the Planning Commission has proposed a decommission bond of $36 million, listening to concerns of residents. sPower says it should get credit for recycling the panels and the bond should be dramatically reduced. The commission said the bond would be re-evaluated every two years under its proposal, which awaits a decision by the Board of Supervisors. Supervisor Greg Benton told WAMU that he initially thought the decision to approve the farm would be easy, given that it’s expected to generate 17 times the tax revenue as the pre-existing timber land on the site. But given the vitriol against the project, he’s not sure what the best course of action is.